For most of us, tuberculosis is a disease we think of as having been eradicated long ago. 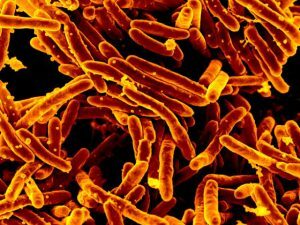 But Alaska has led the nation in reported tuberculosis cases for decades, and at double the national rate. On the next Line One co-host Prentiss Pemberton and guests discuss the health risks of tuberculosis and the importance of testing and treatment.